A top recommendation for US equitation sport. Highly talented, many placings up to 1.35 m class, confidence giver. Very steady. Youngster with very good basic gaits, pleasant to ride, easy to sit. Young horse with a lot of talent. Youngster with an uncomplicated character. He convinces with scope and good reflexes at the jump. Future ribbon collector. Amiable, well-balanced, pleasant to ride. Ready for young horse dressage tests at elementary level. Easy dressage horse on her way to the advanced class. Excellent basic gaits, good forward movement. 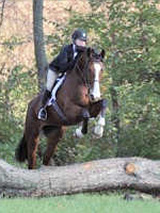 Highly placed up to medium level, perfect for any ambitious rider. Large, impressive dressage horse with very active hindquarters and willingness for collection. Placed A and L dressage for young horses. Uncomplicated at shows and also familiar with hacking out.